discussion of mental health issues among teachers, students and parents. and information is easily available. and recovery through all our programming. you for your work in educating our youth. 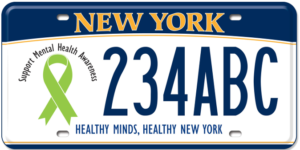 publication of the Mental Health Association in New York State, Inc.
electronic forms. Please give credit to MHANYS. health problems or substance abuse. their academic performance and mental health. Typical Adolescence? or Signs that Require Help? adolescent behavior and signs of serious mental health problems? of harming others need immediate attention. social workers and therapeutic after-school mental health services. binge-eating episodes and a feeling of loss of control. such as vomiting, use of diuretics, or excessive exercise. policymakers about the importance of mental health for our youth. Please join us in 2016.
let us know who might like to receive a copy of *Healthy Young Minds*.